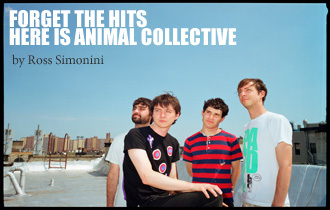 Ross Simonini will walk a mile (or drive all the way to Utah) for an Animal Collective show. Why? Not to sing along to the hits, because the AC homies don’t play those. But they do give their all nonetheless, and always something new, on the petri dish canvass some call a stage.